Cashfloat reveal research about how poor people pay more for simple items. LONDON–(PRNews)— Western Circle Ltd (WCL), a London-based lending company trading as Cashfloat conducted this research as a further effort to understand their poorest customers living in the UK. Some of the startling results showed how much poor people pay due to a lack of bank accounts, cars and washing machines. Cashfloat published the findings of their research on Sunday 18 December 2016. Buying a basic microwave can cost two and a half times the price of a higher quality model, in the long run. Poor people pay at least 5p more on washing powder for each wash. It costs 40% more to buy an orange in a local shop than in the supermarket. Poor people pay enough in rent over 20 years to buy a house. The research includes two in-depth case studies. 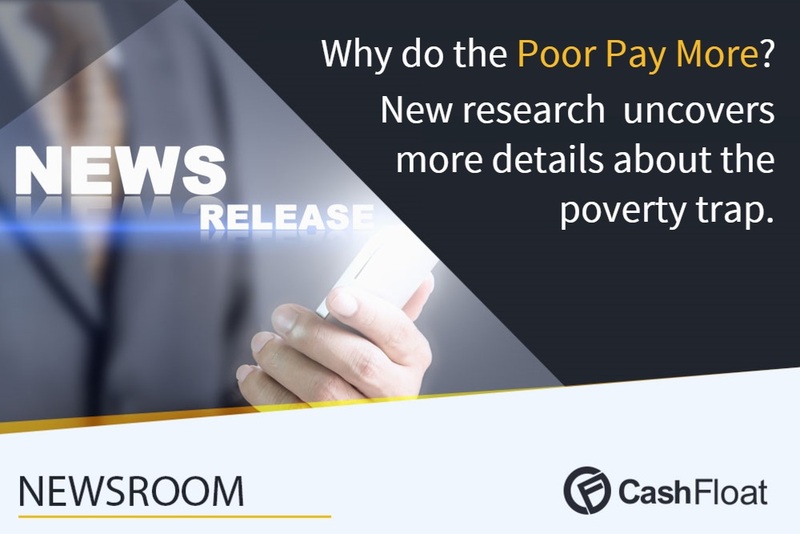 Additionally, Cashfloat’s researchers conducted on-the-spot interviews in places that poor people frequent, such as the local launderettes and cash converters. The team at Cashfloat are constantly striving to understand their customers better, so they can help UK citizens improve their financial situation in the long run.